Naperville Exteriors, Inc. is widely recognized asbeing responsible for enhancing the lives of its customers in the Greater Chicago Metropolitan Area by using exceptional roofing products and workmanship that is second to none! In addition to delivering the best possible results, our roofing contractors possess the mechanical talent and high integrity we demand of all our employees. We are well-known for training them in the techniques and procedures of our company and our roofing trade. For over two decades, our customers have realized that our roofing contractors are the most courteous and respectful of all the roofing contractors in the region. Besides, we are known for doing all we can to guarantee that our customers roof repairs or roof replacements are positive experiences. We offer professional services and workmanship that are unrivaled in the roofing industry. Better yet, we trulyvalue our clients’ homes and businesses, which is the reason countless Matteson homeowners and business owners have been bringing their roofing projects to our attention. Naperville Exteriors, Inc. is one of only six certified GAF TruSlate installers located in Illinois. 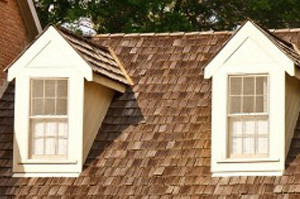 We offer our roofing shingles in a wide range of colors, widths and thicknesses. It is no wonder why Matteson residents always choose us over the competition! Matteson, Illinois is located in both Cook and Will Counties. There are approximately 19,000 residents who make Matteson home. Matteson residents always have shown an interest in enhancing the appearance of their homes. If you have already determined that you would like to look into the possibility of having us handle your roof repair or roof replacement, it’s high time you reached out to Naperville Exteriors, Inc. We will send one of our highly-skilled technicians over to your Matteson home or business to examine the condition of your roof and make recommendations for roof repairs with an eye to your budget! We are always looking for better ways to help our Matteson clients enhance the look and feel of their homes with new roofing. Our affordable roof repair and roof installation is guaranteed to protect your home and provide you with better energy efficiency. Matteson customers are well aware they can always rely on Naperville Exteriors, Inc. to find workable and economical solutions to their roofing needs. Both homeowners and business owners realize how critical it is to employ dependable and highly-skilled roofing contractors to provide top quality roofing services inexpensively. Regardless if it is for customary maintenance, minor roof repair or for a more extensive roof replacement, Naperville Exteriors, Inc. can help! Prompt attention to a leaky roof makes it easier to prevent expensive roof replacement in the future. Immediate intervention is without question the most responsible answer to reducing roof repair. We possess the know-how and talent to provide roofing assistance and reasonable rates. With our well-deserved reputation of providing roofing services and roof repairs at rock bottom prices, our customers understand that we will be there for all of their roofing needs. Call Naperville Exteriors, Inc., today, at: (630) 254-4831 to set-up an appointment for a FREE estimate.